Bitcoinx » News » Report: Is Bitfinex Moving Headquarters To Switzerland? Report: Is Bitfinex Moving Headquarters To Switzerland? Posted by Steve Shanafelt at April 2, 2018 in News Comments Off on Report: Is Bitfinex Moving Headquarters To Switzerland? According to a story published late last week by Swiss newspaper Handelszeitung, major cryptocurrency exchange Bitfinex is in the process of relocating to Switzerland. Bitfinex CEO Jean Louis van der Velde confirmed that the exchange is in the process of merging “operations previously spread over several locations,” adding that his company has held high-level discussions with both the Swiss Department of Economic Affairs and State Secretariat for International Financial Affairs. At the very least, Switzerland is on the shortlist for the exchange’s new base of operations. Although legally based in British Virgin Islands (almost certainly for tax purposes) Bitfinex has functionally been a Hong Kong-based business for most of its 6-year-long history. While Chinese regulators have taken a largely hands-off approach to cryptocurrency operations in the “special economic zone” of Hong Kong, recent policy shifts on the mainland have sparked fears that crackdown is imminent. For a major crypto exchange like Bitfinex — which managed sales of an estimated $110 billion in bitcoin, ethereum, and other tokens in December of 2017 alone — the situation in Hong Kong is clearly becoming too risky. Switzerland, by comparison, is a relatively safe bet. The country has been a European financial center for centuries, and its famously secretive banking system could be seen as a major selling point for privacy-focused cryptocurrency investors. As one of the few major European countries to not be a member of the European Union, the Swiss government is also free to adopt its own policies towards cryptocurrencies and related products (such as initial coin offerings) without needing to worry about E.U. regulations or approvals. Should Switzerland approve Bitfinex’s relocation, the country would become home to the fifth-largest virtual currency exchange, instantly becoming a major player in the global cryptocurrency economy. According to Handelszeitung, negotiations for Bitfinex’s relocation to Switzerland are moving quickly. The company has agreed to comply with Swiss banking transparency regulations and will meet all relevant oversight requirements. 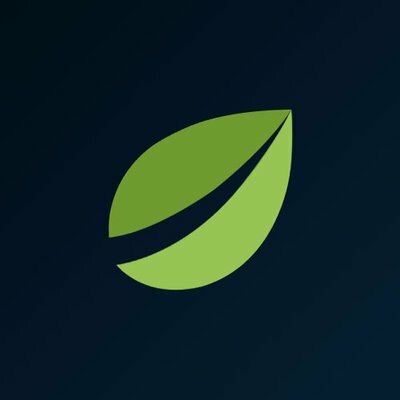 If the reports of the deal are accurate, Bitfinex will relocate most of its operation to Switzerland, including its legal, finance, and software development teams. The company’s executive staff, including Holland-born CEO van der Velde, will likely relocate to Switzerland to oversee operations. There is serious pressure to complete to complete the deal quickly, and from both sides. With the situation in Hong Kong looking increasingly unstable, Bitfinex needs to move its operation as soon as possible. If Swiss authorities take too long to approve the relocation deal, Bitfinex may decide to move to another crypto-hungry country. Given that Bitfinex competitor Binance recently announced a move to Malta, and that even the U.K seems to be shifting towards a more crypto-friendly banking policy, Switzerland may only have a short window to close the deal.